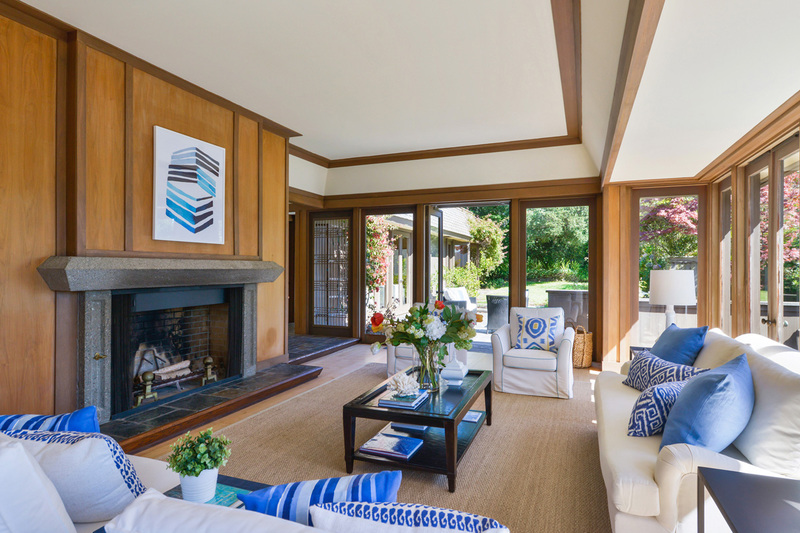 A spectacular modernist home on an island knoll in San Francisco Bay, which originated with two prominent locals of the mid-century, just hit the market for a smidge under $4 million. 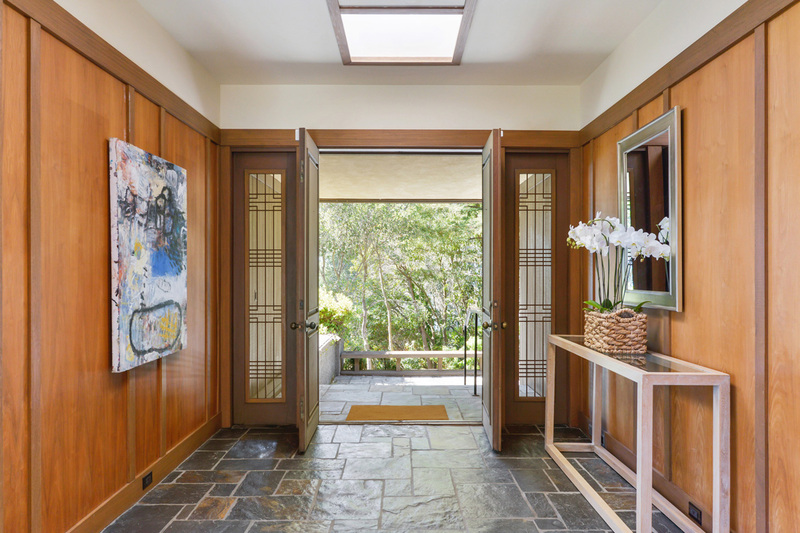 "He really understood his clients," says Dan Hillmer of Warren Callister, architect of the Steinhart House at 104 Golden Gate Avenue in the Marin County town of Belvedere, which sits on two small islands across a short bridge from Tiburon. Himself an architect in Larkspur, Hillmer was consulted on the property by realtors Regine Familet and Sharon Faccinto, who listed the Steinhart House for Compass Realty recently at $3,998,000. Hillmer once designed a home for Faccinto and she knew that he had been a colleague of Callister's. A leader of the Second Bay Area Tradition of design, the Rochester, New York native built the house in 1960 for attorney Jesse Steinhart, distant relative of the two brothers who funded construction of the famed aquarium in San Francisco's Golden Gate Park. Located atop a knoll and nearly invisible from the street, the 4-bed, 5.5-bath home has what the realtors call "about 3,800 square feet" inside. The next and possibly final open house for the home is scheduled from 1-4 p.m. Sunday, September 23. "Mrs. Fay really treasured living in a Callister house, and that's why she changed so little," Familet said of the most recent owner, photographer Mary Fay. She died last winter at age 95, having spent more than a half-century in the house after buying it from the Steinharts in 1965. "The integrity is absolutely [still] there." 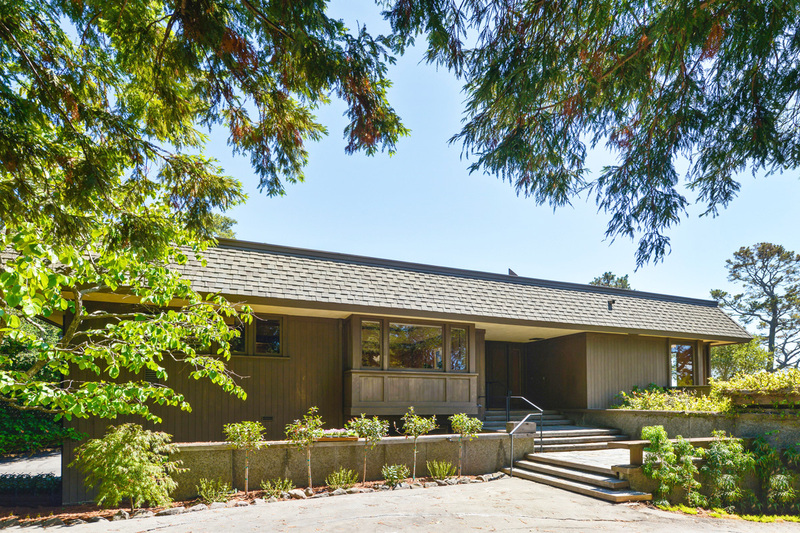 Callister is possibly best known for his modernist design of several remarkable churches in Marin as well as the Rossmoor Leisure World retirement community in Walnut Creek (1963), but Familet noted that the Steinhart House "is one of the earlier Callisters." "It's got more of the restrained modern lines on the exterior," she said of the home, adding that the current owners "put quite a bit of money into restoring it." That included sanding down the floors to remove some carpet tape adhesive and a decision not to re-stain them. "People are really enjoying the light floors with the dark wood paneling," said Familet, referencing the walnut-paneled walls with mahogany trim.